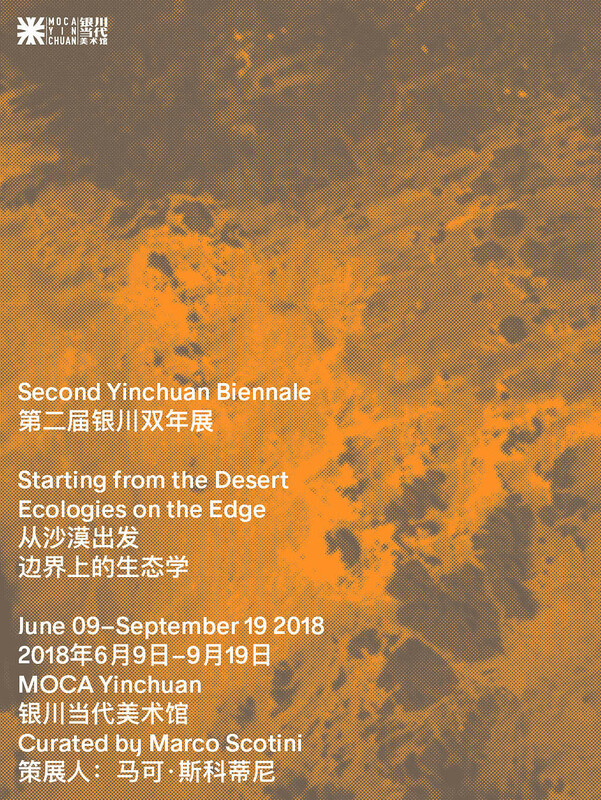 Starting from the Desert. 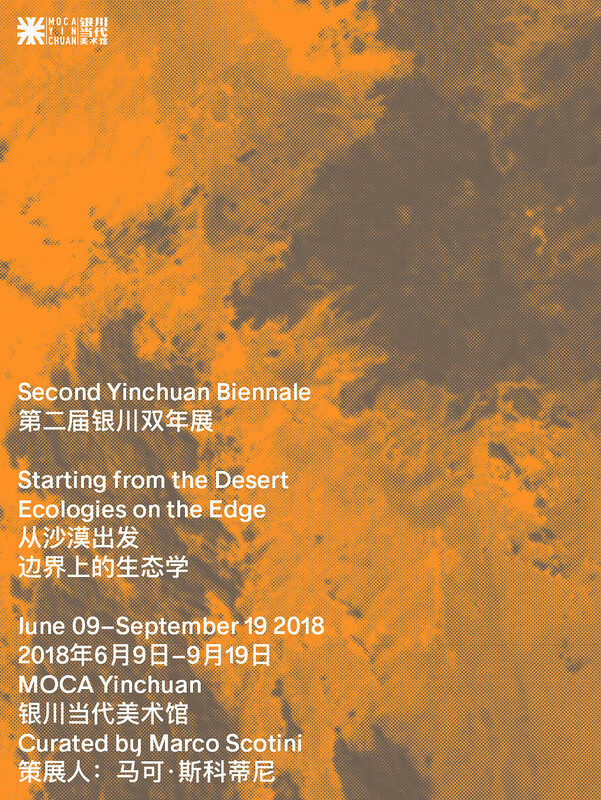 Ecologies on the Edge, the Second Yinchuan Biennale, curated by Marco Scotini, extends over the 15,000 square meters of museum space of MOCA Yinchuan, the surrounding Hui Nongqu Eco-park, and the International Artist Village of the River Origins, the exhibition articulates itself through four thematic sections: Nomadic Space and Rural Space, Labor in Nature and Nature in Labor,The Voice and The Book, Minorities and Multiplicity. 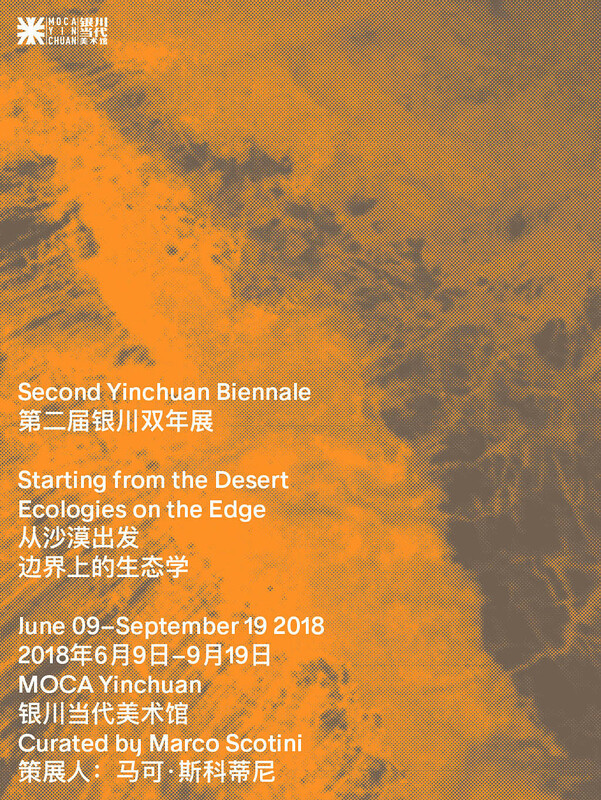 In keeping with the concept proposed by the curator, the coordinated image and the publishing projects linked to the event–developed with Mousse Agency & Publishing–revolve around the desert and its topographies: tangible yet in continuous movement, impermanent.